Troy Rudd is Chief Financial Officer, for AECOM (NYSE: ACM), a premier, fully integrated infrastructure firm that designs, builds, finances and operates assets for governments, businesses and organizations in more than 150 countries. In this position, Mr. Rudd oversees the company’s global financial operations — including financial planning and analysis, financial reporting, insurance, shared services, internal audit, tax, and treasury. He is also a member of AECOM’s Executive Leadership Team at the enterprise level. Mr. Rudd has held a series of financial leadership roles since joining AECOM in 2009, including responsibility for AECOM’s treasury, corporate controllership and financial reporting, risk and controls, tax and shared services functions, Rudd has been instrumental in advancing AECOM’s growth initiatives. He drove efforts to raise capital to fund the AECOM/URS transaction, and was a key member of the team that led the largest integration component involving the DCS Americas group. 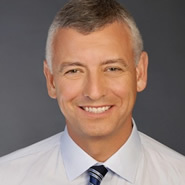 Prior to joining AECOM, Mr. Rudd was a partner for 10 years with KPMG, where he held leadership roles and served many of the firm’s most-valued clients, including Time Warner, Computer Sciences and Northrop Grumman.